Mocis marcida - Hodges#8744 (Withered Mocis). Size: approx. 25 mm. Photo: 03/14/16, 10 pm. 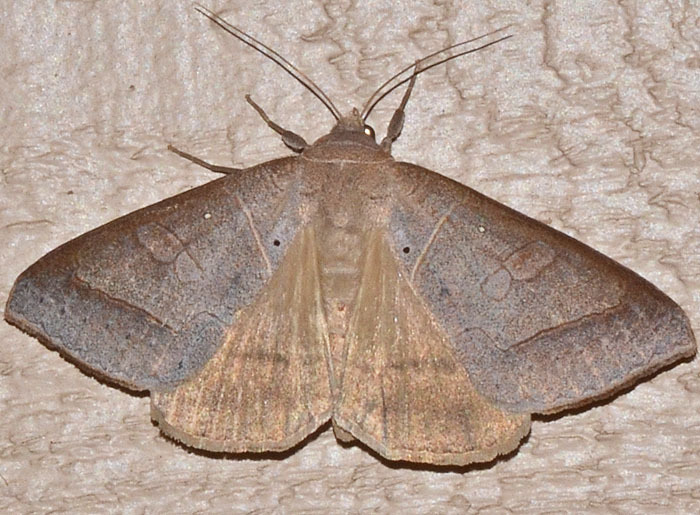 The wingspan of this moth was about 4.5 cm and it sounded rather heavy while bouncing off my porch light. There are five Mocis species in North America. Mocis latipes - Hodges#8743 (Small Mocis). The second Mocis species that I found in our yard. The wingspan is about 1.5". The larvae are called "Striped Grass Looper" and feed on grasses, corn, beans and turnip. 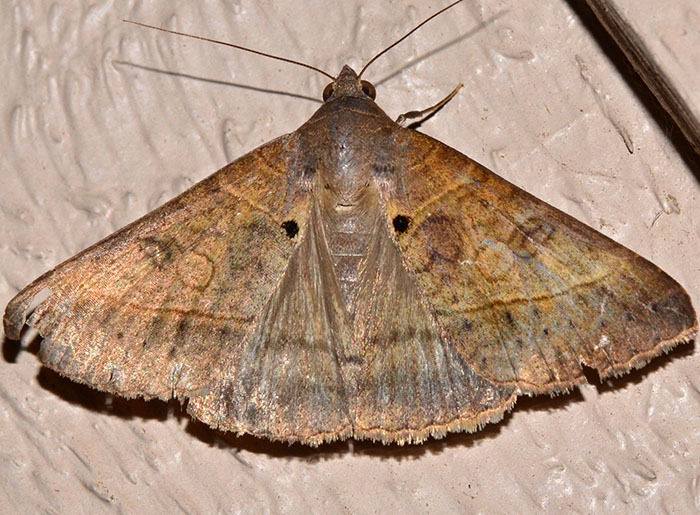 The second link is for a dissertation titled "Behavioral biology of the striped grass looper, Mocis latipes (Guenée), in north-central Florida".